After the Wright brothers flew, a handful of inventors were determined to join them. Ovington had reason to be concerned. 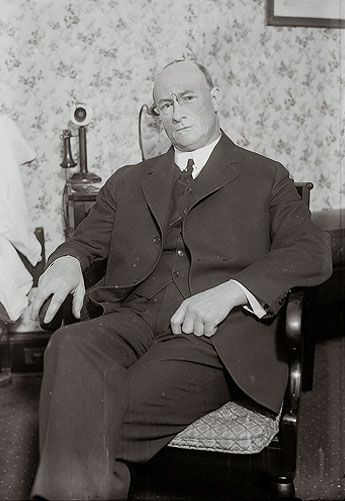 For every Wilbur Wright, Glenn Curtiss, or Alberto Santos-Dumont, there were plenty of Lyman Gilmores (more about him soon). Many would-be airplane inventors had visions that far surpassed their engineering competence. Fate caught others faster than their luck could hold. Some actually did the hard work and flew—but only into dead ends. They all possessed insatiable curiosity, imagination, and persistence—almost all of the ingredients needed for success. Aeronautical innovation is ultimately collaborative. But some pioneers held fast to their own theories, resulting in grand claims backed by few accomplishments. 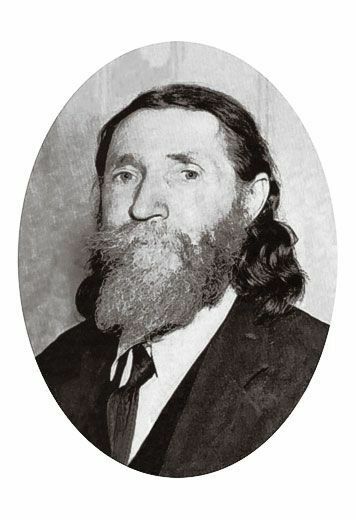 The sometime gold prospector was the archetypal old man of the mountain: scraggly beard, long hair, and wizened face. 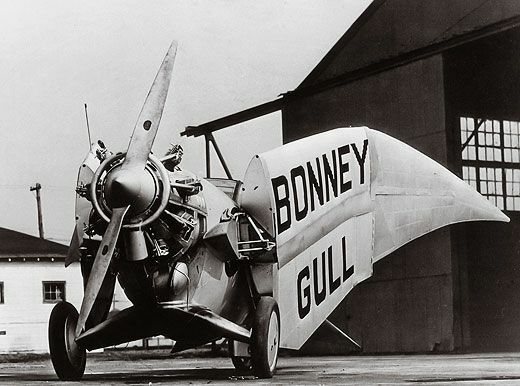 Driven by a vision, he flew in the hills near Grass Valley, California—if you believed him. 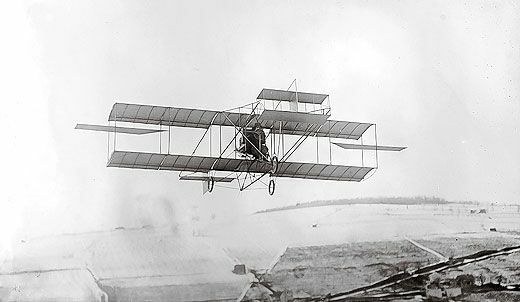 According to Gilmore, his inspiration came from a poem he’d read as a high school student: It spoke of “robbing from the eagle his eagle’s secret.” In 1894, Gilmore claimed to have built a glider with an 18-foot wingspan and to have flown in it down a hill, towed by a horse. If true, it would have been a remarkable achievement. But there’s no evidence of Gilmore’s glider other than his word and the shaky recollections of his family. How could Gilmore have learned what he needed to create a glider while isolated in California’s gold mining country? It’s possible he could have read Progress in Flying Machines, published that year by French-born American engineer and aviation enthusiast Octave Chanute, or a newspaper article on German glider expert Otto Lilienthal. Whatever the case, Gilmore wanted to fly something. In 1898, he produced a drawing depicting a powered monoplane and had it signed by witnesses. 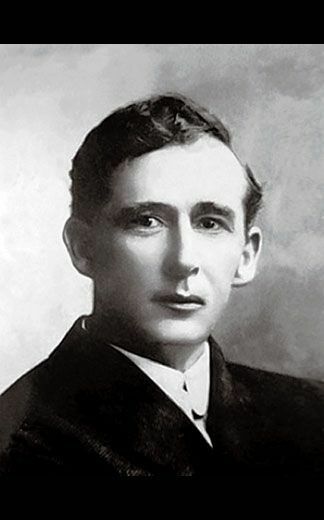 In 1902, he claimed a successful powered flight. 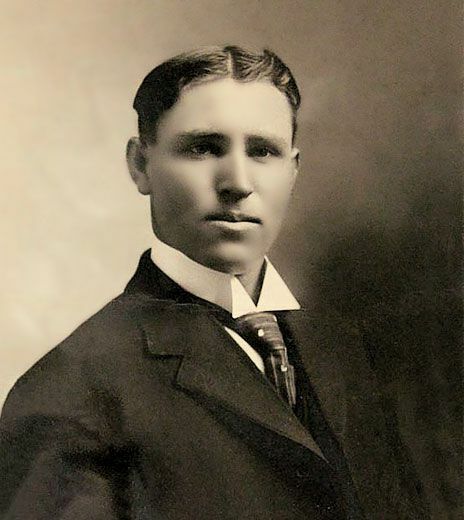 Between 1905 and 1907, he opened the Lyman Gilmore Aerodrome in Grass Valley and began selling stock in the first of several aircraft companies he founded based on his 1898 design. Newspaper stories from 1909 describe a failed attempt to fly at the California State Fair. 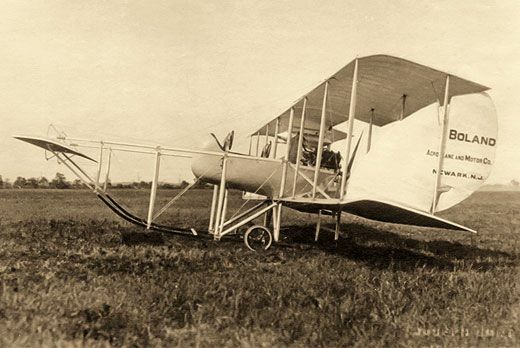 In 1912, Gilmore revealed a two-person monoplane by driving the machine around his field for hours until it fell over. But again, there is no evidence of a Gilmore machine in the air. 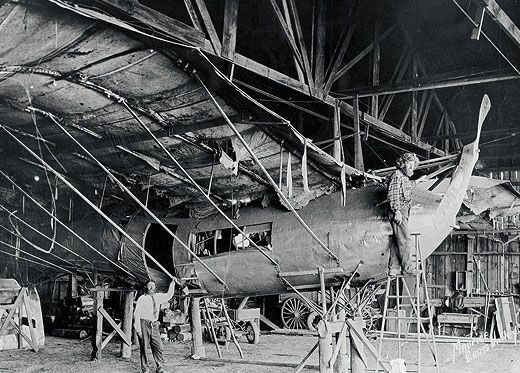 There is evidence that he built them: A film, shot sometime in the 1930s, shows a giant monoplane with a torpedo-shaped fuselage in Gilmore’s barn. It looks vaguely like his 1898 design. The propeller swings listlessly. The wings are tattered. 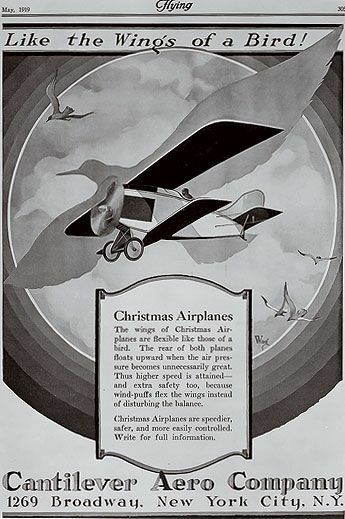 We see Gilmore and his brother up close, in rumpled clothes and with long hair and beards, sweeping clouds of dust from the fuselage and displaying page after page of blueprints. Finally, they clamber up a ladder with one of two dogs, get inside the airplane, and stare out from the windows. 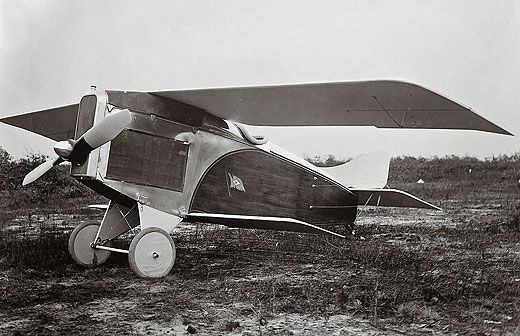 The airplane was ambitious: a passenger-carrying tractor monoplane. But Gilmore was not the first to have the idea. Alphonse Pénaud and William Henson (to name two) pre-dated him by decades. 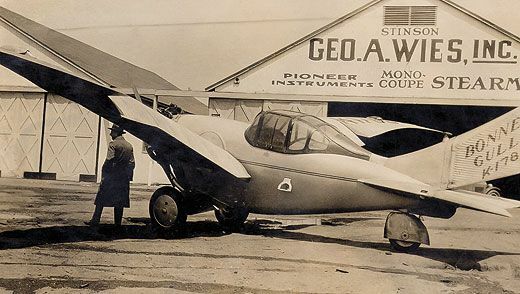 Although Gilmore clearly built something, created an airfield, and forayed into business, he never ventured beyond his own aeronautic back yard. 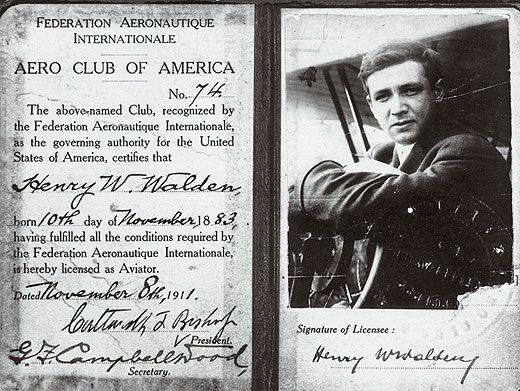 When he finally flew in 1924, he was a passenger. In 1935, a fire destroyed his barn and any proof of flight it might have contained. He died in 1951. 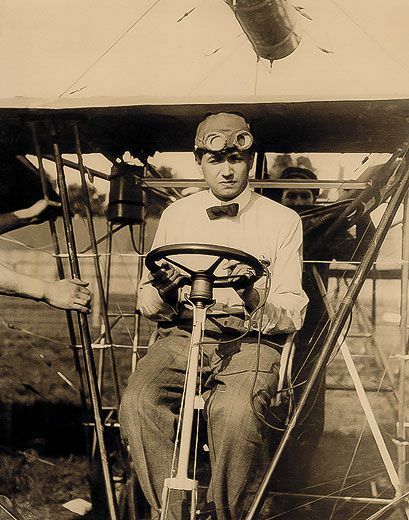 Other than his grandiose aeronautical dreams, Lyman Gilmore was a modest man. His ideas never hurt anyone. The same could not be said of William Christmas.